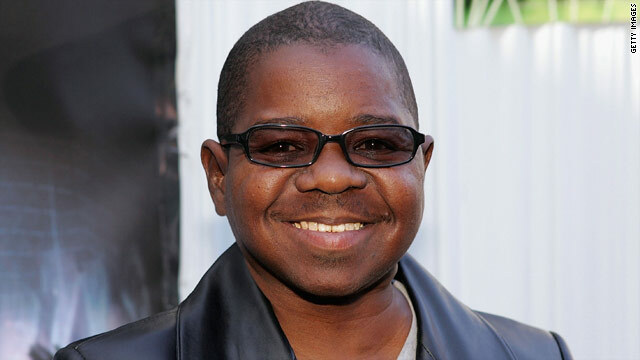 (CNN) - Former child star Gary Coleman, who rose to fame as the wisecracking youngster Arnold Jackson on the TV sitcom "Diff'rent Strokes" but grew up to grapple with a troubled adulthood, has died. He was 42. Coleman died of a brain hemorrhage at a Provo, Utah hospital, Friday afternoon, according to a hospital spokeswoman. The actor fell ill at his Santaquin, Utah, home Wednesday evening and was rushed by ambulance to a hospital, Coleman's spokesman had said in a statement earlier Friday. He was then taken to another hospital - Utah Valley Regional Medical Center in Provo - later Wednesday night. In the late '70s and early '80s, Coleman was one of television's brightest stars, the personality around which NBC's "Strokes" - the story of two inner-city children who are taken in by a wealthy businessman, his daughter and their housekeeper - was built. (CNN) - John Travolta and Kelly Preston are expecting a baby, the couple announced on their website Tuesday. "It's impossible to keep a secret," they wrote, "especially one as wonderful as this." Preston's pregnancy comes just over a year after the death of their son, 16-year-old Jett Travolta. Jett died after suffering a seizure in the Bahamas on January 2, 2009. "We want to be the first to share this great news with everyone that we are expecting a new addition to our family," they said in a statement that was signed "Love, John, Kelly and Ella." Ella is the couple's 10-year-old daughter. The announcement did not reveal a due date for the baby, although Star magazine is reporting in its issue that hits newstands Wednesday that Preston, 47, is about three months pregnant. The family suffered the loss of their two small dogs last week when a pickup truck servicing 56-year-old Travolta's jet at the Bangor, Maine, airport struck and killed the dogs, a spokesman said. (CNN) - Elizabeth Taylor used Twitter messages Thursday to blast Dr. Arnie Klein for recent statements he made about their mutual friend, the late pop star Michael Jackson. Taylor, like Jackson, was a patient of the Beverly Hills dermatologist. "I thought doctors, like priests took an oath of confidentiality," Taylor tweeted. "May God have mercy on his soul." The legendary actress, who often communicates with fans through Twitter postings, is currently on vacation in Europe, according to a spokesman. Taylor expressed her anger with Klein for an interview he gave to the TV show "Extra," in which he supported claims by one of his male employees that the employee had an intimate relationship with Jackson. (CNN) - President Obama named Solicitor General Elena Kagan on Monday as his nominee to replace retiring Justice John Paul Stevens on the Supreme Court. Kagan, 50, a New York native, has been widely reported to be the front-runner for the nomination. She was a finalist for the high court vacancy last year when Justice Sonia Sotomayor was selected to replace the retiring David Souter. 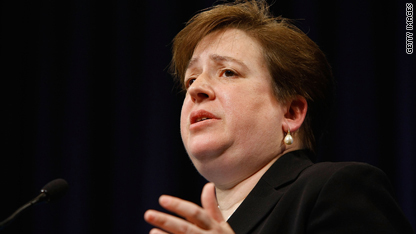 If confirmed, Kagan would be the third woman on the nine-justice bench and the fourth in the history of the court. Her confirmation also would mean that the Supreme Court would have no Protestant justices for the first time in its history. Kagan, who is Jewish, would join six Catholic and two Jewish justices; Stevens is Protestant. Kagan received her law degree from Harvard University, where she later served as dean of the law school. She previously served in the Clinton administration as associate White House counsel. Obama decided on Kagan as his nominee on Sunday and called her around 8 p.m., a source close to the process said. He did not have to look far when considering Kagan. As solicitor general, she is the administration's top lawyer before the Supreme Court and has argued several high-profile cases before the justices since taking the job in spring 2009. As Bret Michaels continues to be watched closely by his doctors, a source reveals the rocker's excruciating moments before he was taken to the emergency room. According to the source, Michaels, 47, said the headache that prompted him to call for an ambulance felt "like [getting] hit in the head with a baseball bat over and over again." Often referred to by doctors as a "thunderclap headache" because of the intensity and suddenness of the pain, such headaches are a tell-tale symptom of the kind of brain hemorrhage that Michaels suffered. The source close to the situation adds, "Bret is still in ICU. He still has the headache and is heavily sedated." 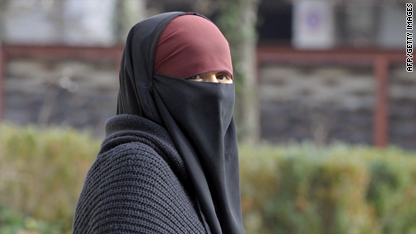 (CNN) - The latest round in the battle of the burqa kicks off Thursday in Belgium, which could become the first country in Europe to ban face coverings worn by observant Muslim women. Lawmakers are considering a ban in all public places on niqabs, veils that cover the face, as well as burqas, which cover the face and everything else from head to toe. They're motivated both by security and morality, they say. "We think all people in public places must show their face," says Denis Ducarme. And, he says, "We must defend our values in the question of the freedom and the dignity of the woman." His liberal Reformist Movement drafted the legislation, and claims broad cross-party support. Ducarme denies that Islam requires women to wear burqas or niqabs. An arrest has been made in connection with the investigation of actor Corey Haim's death, a spokesman for California's attorney general said Wednesday. Attorney General Jerry Brown is not revealing details of the arrest, his office said, but it comes soon after he revealed that pharmacy records show the actor got thousands of dangerous pills from dozens of doctors in the past year. Brown also said last week that Haim's death was linked to an "illegal and massive prescription-drug ring." Although the actor's family said Haim had reduced his drug use to near zero, Brown said Friday on HLN's "Issues with Jane Velez-Mitchell" that he didn't see "any 'zero' pill consumption." "If he took all the pills that our records show he was prescribed over the last year and three months, he took very damaging assaults on his body," Brown said.